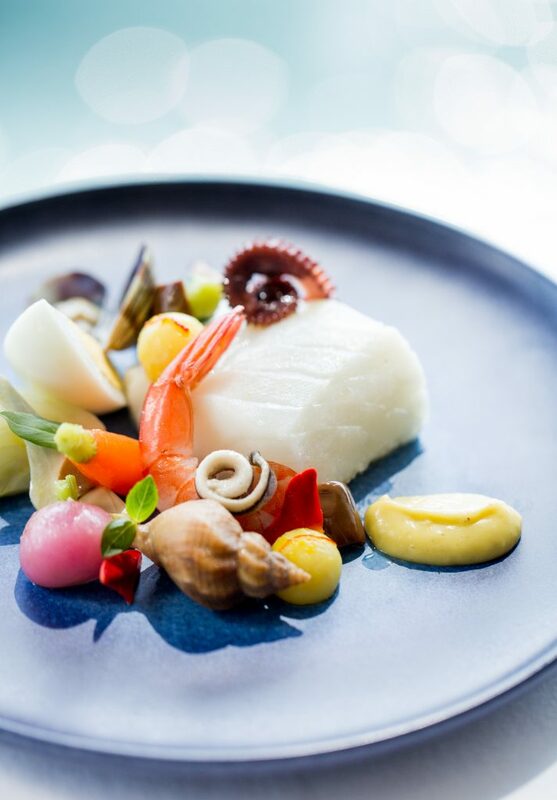 This summer dive into the big blue at InterContinental Hong Kong’s 1-Michelin star Rech by Alain Ducasse with Crazy Blue Lobster from Brittany and other treasures from the sea prepared with finesse by Executive Chef Stéphane Gortina on Rech’s new Summer Menu. Under its Samurai looking shell hides a flesh of superior finesse. This is “the Big Blue” Lobster of Brittany, which turns red when cooked. Its exquisite flesh and natural juice lend themselves to a multitude of harmonies. With the warmer weather, crabbers patiently wait for this “cardinal of the sea” to leave its hiding place. Its exquisite flesh and natural juice lend themselves to a multitude of harmonies. This special pasta, imprinted with basil leaves, is cooked with three condiments: garlic, pesto and shallots. Sautéed girolle mushrooms and tomato confit add a Mediterrean flavour. Executive Chef Stéphane Gortina roasts the Blue Lobster from Brittany and served it with mashed and grilled Violin Zucchini (a special French variety which grows only in the summer in Provence). Enhancing the dish are zucchini “courgettes” stuffed with lobster, zucchini, olives, ginger and basil and deep-fried zucchini flowers, garnished with olive powder. Since the 20th century, the AOC (Appellation d’Origine Contrôlée) status has applied for Bresse poultry, highlighting the close relationship between the product and its territory of origin, in which skilled farmers follow rigorous specifications and traditional practices to raise the highest quality poultry.Bresse Pigeon comes from Southwest France, near Lyon, which is famous for its poultry. For this special dish, Executive Chef Stéphane Gortina roasts the Bresse pigeon breast which has a unique texture and flavour. The legs are prepared ‘caillette’ style, with a stuffing with foie gras, truffle, colonata bacon, bread crumbs, the heart & liver and finished with freshly shaved black truffle. The dish is garnished with potatoes and served with a sauce made of pigeon jus with clams, razor clams and oysters – adding a hint of Rech’s seafood theme. 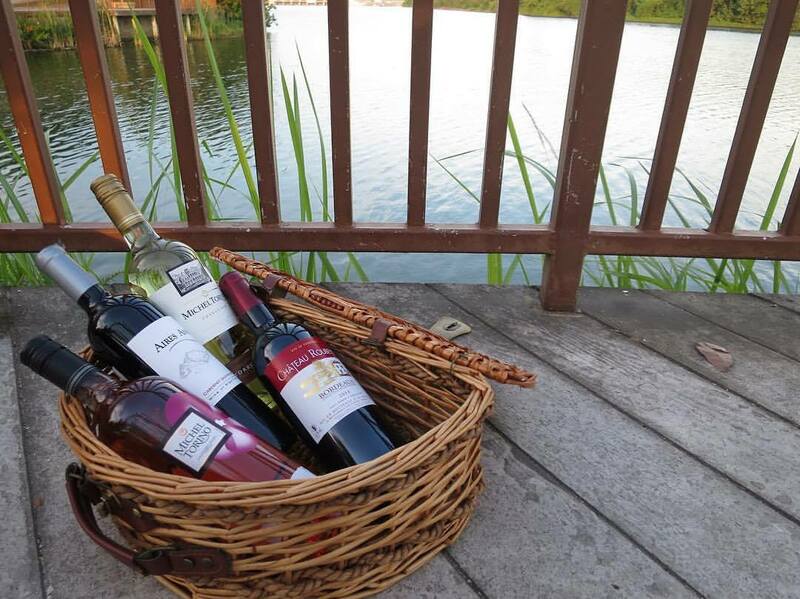 Click here for the Rech Summer Menu. 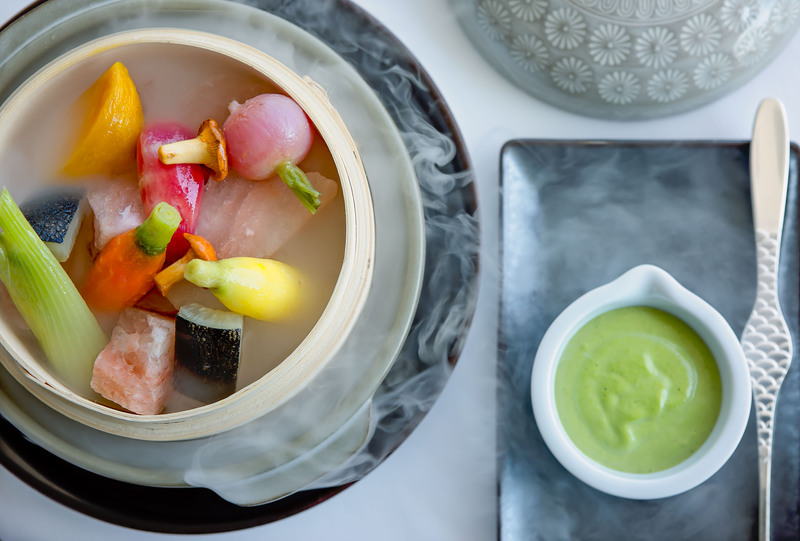 The RUSH TO RECH Summer Menu offers a choice of three Fines de Claire de Marennes Oléron n°3 Oysters or the signature “Club” Crab and Mango for the Starter. 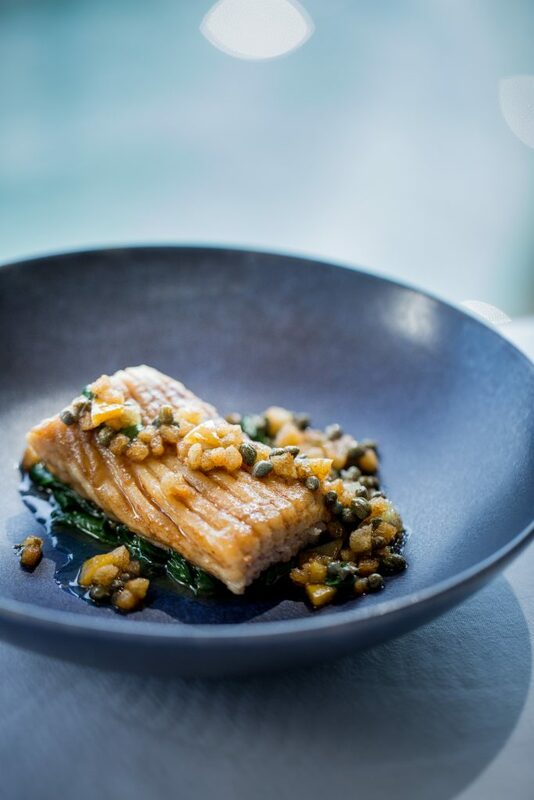 For the main course, choose between the Cookpot of small spelt, squid and sesame seeds or the Wild cod aïoli. For dessert, choose either our signature summer dessert, “Mrs Rech” which is made with iced cottage cheese and seasonal berries or Confit & raw cherries, milk ice cream. *This offer cannot be combined with other promotional offers and is subject to advance reservation and availability. Black-out dates apply. 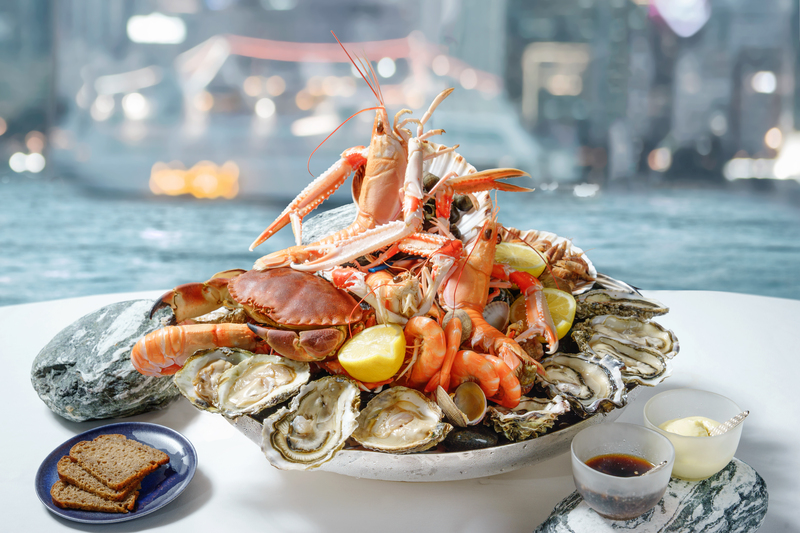 The 1-Michelin star Rech by Alain Ducasse offers an authentically French seafood experience, showcasing the best seasonal fish, shellfish and oysters with the Chef’s personal interpretation and contemporary French cuisine and stunning harbourviews. BBounce Studio Bounce your Workout — Go ahead JUMP!